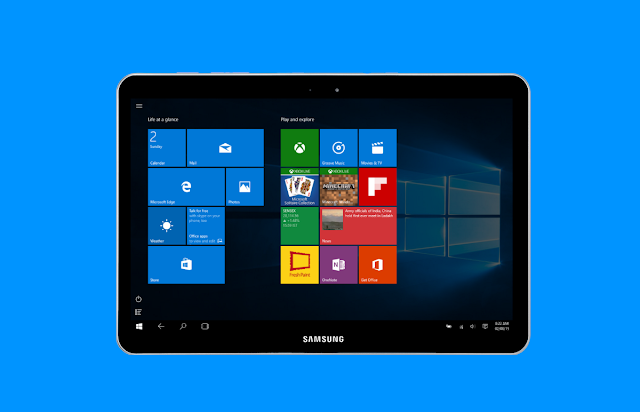 The Samsung is working on a Windows powered 12 inch tablet. 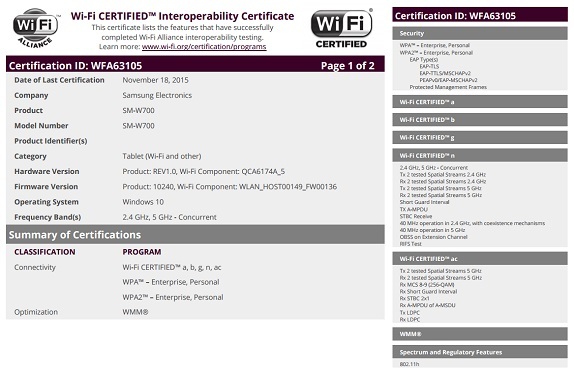 Now, the tablet with a model number SM-W700 has received Bluetooth SIG and the Wi-Fi Alliance.The Samsung 12-inch Windows 10 powered tablet is expected to feature a 2560 x 1600 or 3840 x 2400 pixel resolution display. It is powered by a 14 nanometer Intel Core M processor coupled with 4GB of RAM. The tablet also will feature support for S Pen. Unfortunately, no other specifications of the tablet are known as of now. In addition, the tablet has been listed on Zauba, the Indian import-export tracking site. The price tag on the tablet was $450 on the Zauba listing. Previous report stated that the tablet would be thin at 6.2mm and will supposedly weigh 600 grams.